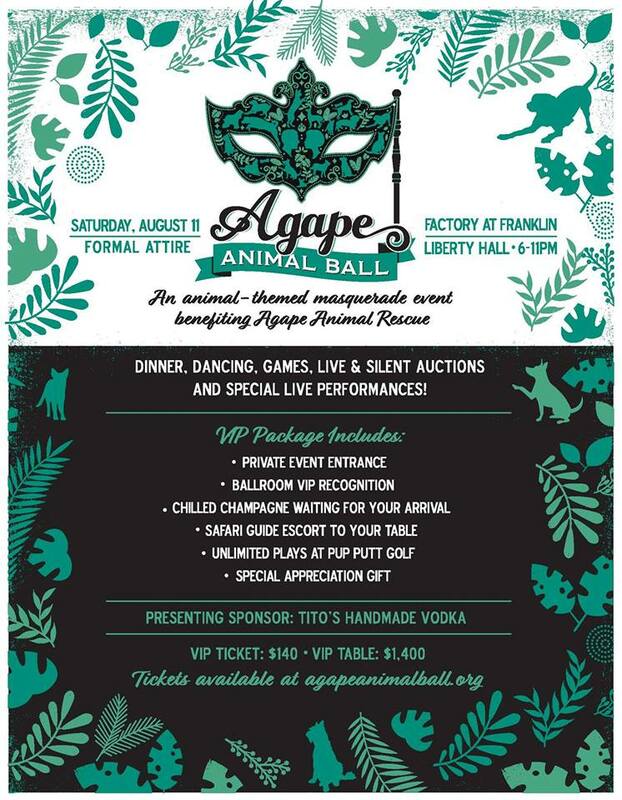 Agape Animal Ball is Nashville’s only animal-themed formal masquerade ball. 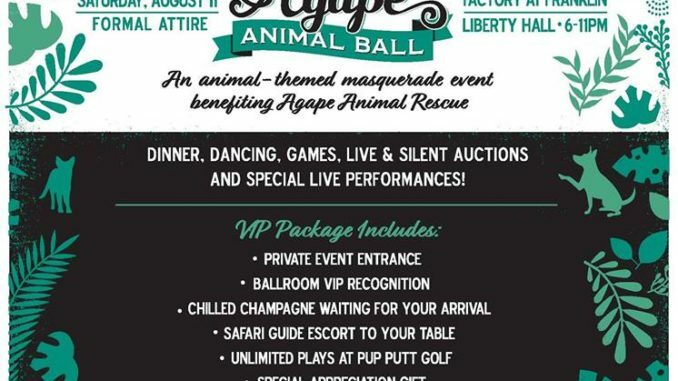 It is being hosted at The Factory in Franklin- Liberty Hall this Saturday, August 11, 2018 and will feature dinner catered by Bacon & Caviar, open bar sponsored by Tito’s Handmade Vodka dancing to the music of The 8th South Band, special performances by Suspended Gravity and the Nashville Zoo, games including Pup Putt Golf and a scavenger hunt sponsored by Kendra Scott, live and silent auctions. This is a night you do not want to miss! Get your tickets HERE!